Homocysteine has become a buzzword of late in the medical world. New evidence is published monthly highlighting this amino acid as a substantial risk factor in the development of cardiovascular disease and dementia. 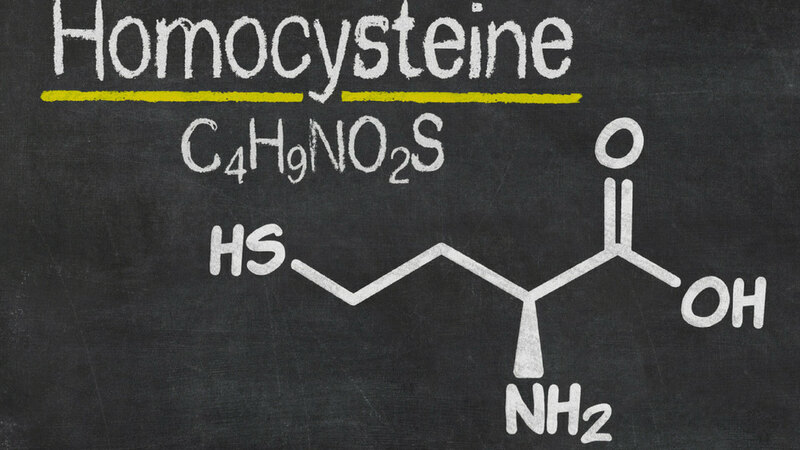 For those outside the realms of medicine and science, homocysteine may just sound like another complexly-named chemical that we needn't worry about. In this blog post, we take a closer look at this important molecule, the reasons we should be aware of it and what can be done to minimize its potentially harmful effects. Homocysteine is a naturally occurring amino acid produced from the breakdown of another amino acid, methionine. Methionine is one of the 9 essential amino acids that we cannot produce in our bodies and must therefore obtain through our diet. Homocysteine and methionine are both essential molecules in the body, used for making DNA and producing proteins. 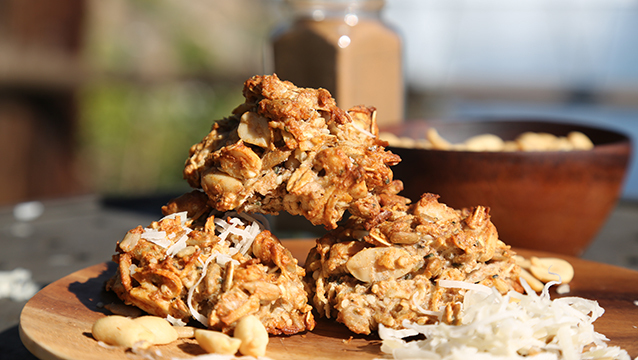 Excessive levels of homocysteine, however, have been associated with poorer heart and brain health. Levels of homocysteine in the blood are regulated by three B vitamins: folate (vitamin B9), Vitamin B12 and Vitamin B6. Adequate intake of these vitamins is therefore important for maintaining healthy homocysteine levels. There are two metabolic pathways by which homocysteine levels are kept in check. 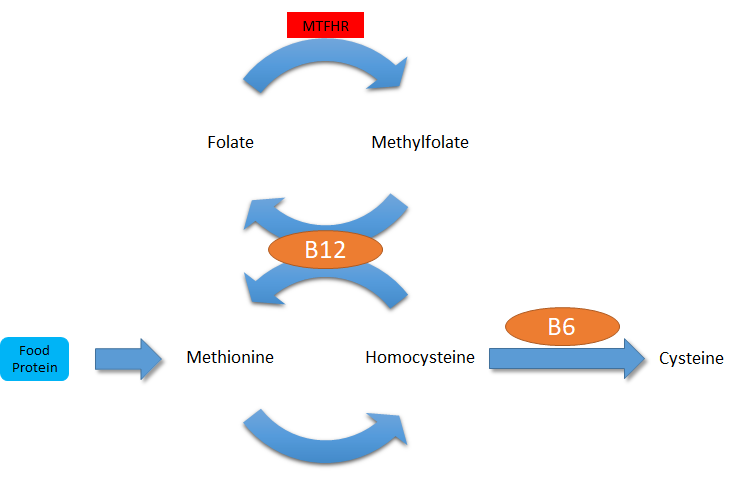 One pathway regenerates homocysteine back to methionine and is dependent on having sufficient levels of folate and vitamin B12. The other pathway converts homocysteine into another amino acid, cysteine, and requires vitamin B6 to do so. If these pathways are lacking in the required vitamins and minerals, homocysteine levels will rise, a condition called hyperhomocysteinemia (hyper = high, emia = in the blood). As mentioned, this is linked to worse health outcomes. The mechanisms by which homocysteine increases the risk of cardiovascular disease are not yet fully understood. One train of thought is that homocysteine is known to stimulate the growth of smooth muscle cells like the ones found in the walls of our arteries. Too much growth (as a result of raised homocysteine levels) can cause deposits of collagen to accumulate within our arteries, leading to hardening and stiffening of arterial walls. Stiffer arteries are less distensible (stretchy) and can therefore impair blood flow and increase blood pressure, which may eventually lead to thrombosis (blood clots). Furthermore, it is thought that homocysteine impacts the way that our cells use oxygen and this can result in a build-up of "free radicals", damaging molecules that can accelerate the growth of plaques in arterial walls. Unfortunately, the negative implications of hyperhomocysteinemia don't end with your cardiovascular system; there are reported neurological complications too. In 2017 there were 886 research papers published which investigated homocysteine, more than double the citations 20 years ago. Interest in homocysteine peaked in 2003 after a paper published in the New England Journal of Medicine identified homocysteine as a substantial independent risk factor for Alzheimer's disease and other dementias. Again, the mechanisms behind this relationship are not fully understood, but it is suggested that the increased risk of thrombosis translates into an increased risk of strokes, dementia and Alzheimer's disease. The MTHFR gene - not what it sounds like! 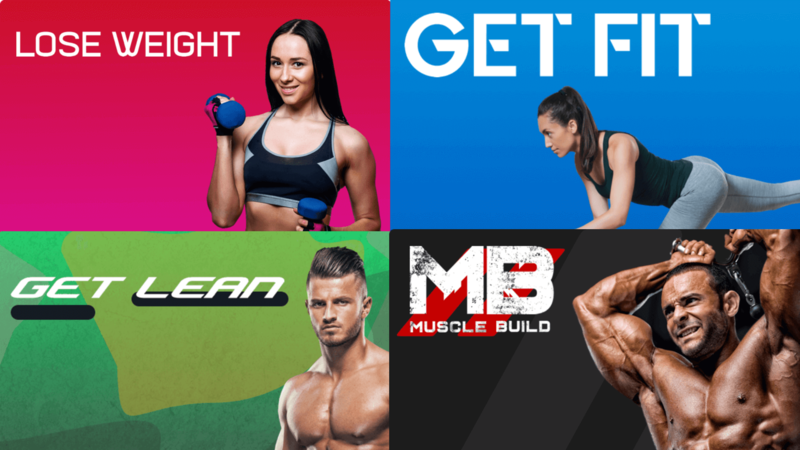 As part of the DNA analysis we offer at Fitness Genes, you will be able to find out what genotype of the MTHFR gene (among many more) that you possess. Although MTHFR looks like it might be an abbreviation for a particularly rude word, it actually stands for Methylenetetrahydrofolate Reductase. MTHFR is an enzyme which is responsible for the conversion of folate to its active form - methylfolate - in a cycle (very creatively!) called the folate cycle. Methylfolate is required for the conversion of homocysteine back to methionine, and therefore more methylfolate can help to reduce levels of homocysteine… still with me? Have a look at the diagram below which should hopefully clear things up! From my own DNA results, I discovered that I am part of the 7% of the population with two copies of the C allele which is associated with a reduced ability to convert folate into methylfolate (and therefore homocysteine back to methionine). This result may seem a bit gloomy but, as with anything in genetics, this one result is not the only determinant of an outcome in health and fitness. In fact, within my results are a further three genes (MTR, MTRR & MTHFR_SNP2) that will influence my homocysteine levels via the folate cycle, which we have already visited. My genotypes for the other genes are pretty average and therefore, from a genetic perspective, I needn't be overly concerned about massive amounts of homocysteine in my blood and the associated risks. As well as your genes, certain environmental (or lifestyle) factors can also influence the level of homocysteine in your body. Age, smoking status and blood folate levels have all been identified as factors that will significantly affect homocysteine levels. Unfortunately, aging is inevitable, but that still leaves two modifiable factors that can be targeted. Quitting smoking will of course have countless benefits for every aspect of your health, not just homocysteine. You can also increase your folate intake. Currently, the recommended daily intake of folate for adults is 400µg (0.0004g) per day. Folate can be easily obtained in your diet with foods like broccoli, lentils, and avocado, which is great news for those of us with a genetic predisposition for higher homocysteine levels. 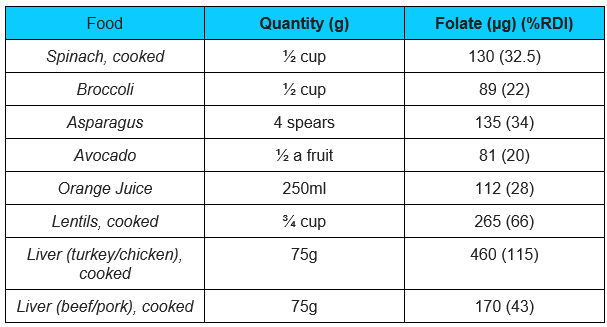 The table below shows some excellent sources of dietary folate. Furthermore, an analysis of existing research suggests that resistance training lowers the levels of homocysteine in our bodies in the long-run: even more reason to get yourself to a gym or smash out that home-workout! Thanks for reading my latest post, if you haven't already then check out my previous posts about all things glycemic and the fabled lactate threshold!